The Blackbox Labs van, The Coastal Crew’s diesel fueled, human filled bike transporter became the only solid home that our six-man troop knew for two weeks. We started, after driving east for an eternity to Fernie, BC, then west through Rossland and finally finishing off with Silver Star. To say the least we are stoked with what we’d accomplished. 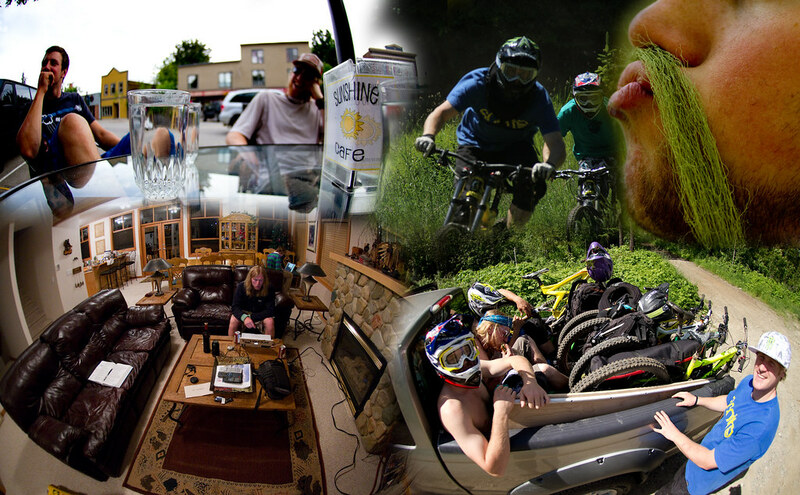 All of that can be seen in the road trip video put together by The crew, but for now, enjoy a narrative taste of our journey to three of BC’s primary riding destinations. While the behemoths of the mountain bike park industry draw all of the attention and crowds, a morsel of mountain bike cheese remains uneaten by the down hilling masses. Do you remember the trails, often remote or impossible to find, that incur a collective yearning amongst the group for more? Often these ribbons of dirt prompt calls for lift access because they are pure, they are unencumbered by clumsy incumbents who are responsible for the alteration of trails to suit the mountain bike park mold. Fernie Alpine Resort does not fit that casting; it is everything other parks are missing, and everything other parks wish they had. 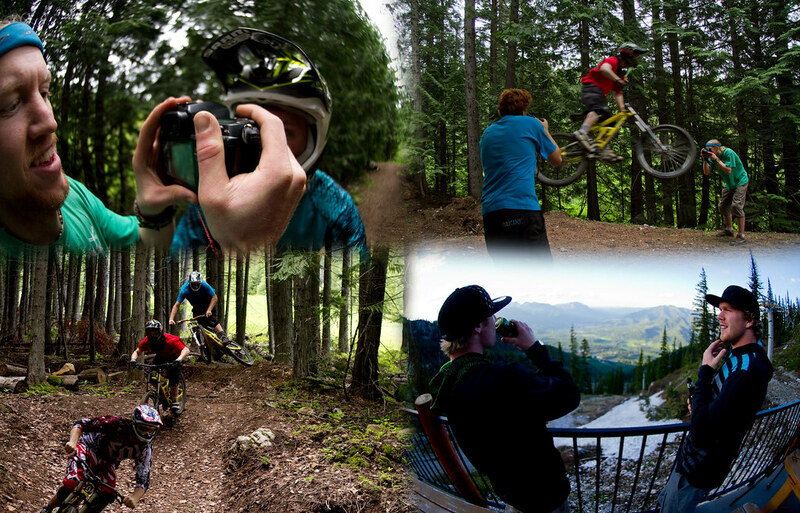 Fernie is the premier bike park of the most infamous North American mountain range: The Rockies. The trails that string their sinuous selves around the mountain’s peaks vary in every imaginable category. There are a collection of rocky, steep, technical trails that feed into strips of forested loam and finish with wide open berms and jumps, which are quite possibly the most decadent of mountain biking’s many joys. It is an irrefutable truth that Fernie is a DH and a free ride heaven. Even if one disregards the extensive on-hill trail network, Fernie is still an amazing place to visit because of wildlife, sky-scraping off-hill shuttles and the Elk River. During our short stay we bore witness to more than 10 bears and countless deer. All of these animals were passive around humans, but one must always remember to exercise caution when dealing with wild animals. As professional photographer Nic Teichrob put it so candidly while we shuttled the trails, “welcome to the zoo”, in reference to a mother bear toting along three miniscule bear-lets. The cubs were so small they looked as though they had been lifted straight out of the local toy store. Needless to say, they weren’t, despite Kyle Norbraten’s assurance that these were “friendly bears”. The service and amenities provided by the resort were unbelievable as well. We arrived the week before the resort was scheduled to open, but Mark and his trail crew made themselves available to shuttle us. Driving to the top of a ski resort to ride was a bizarre experience, but it speaks volumes about the dedication of the people at Fernie Alpine Resort. We stayed at the Lizard Creek Lodge, which is directly adjacent to the Elk chair; while we were in the unique position of not using the lifts, it was apparent that our accommodations were second to none in terms of both location and amenities. Free breakfasts for all! With Fernie finished, we re-boarded our intra-provincial space ship, Curtis Robinson kicked the Blackbox van into warp drive, and we arrived in Rossland mere hours later. Once in Mike Hopkins’ and my own hometown, we unloaded gear and bodies into respective dwellings, and after a quick trip to Dylan’s much beloved Sunshine Café, the trails were once again calling. First up was a section of the Trans-Canada Trail known as the Dewdney. While the Dewdney is undisputedly one of the most fun trails I’ve ever ridden, we overlooked a particular detail that would make our filming experience less than enjoyable: mosquitoes. It seemed that every portion that was suitable for filming was also under the threat of nuclear bugs. These were not ordinary proboscis toting mozzies, but vicious, saber-wielding insects seeking out bare flesh with an untold vengeance. Frustrated with this, we left the trail in somewhat of a hurry, taking the small amount of footage that Hopkins and Norbz were able to get with us. Afterwards, we rode two trails purely for fun, while Mike kindly took a break from destroying corners to shuttle us. 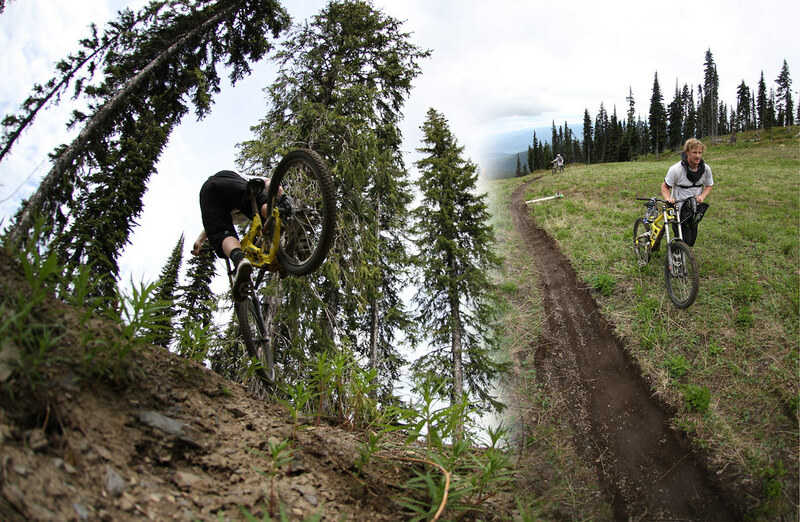 Whiskey Trail was probably the highlight of our time in Rossland, if you’re ever at Red Resort in the summer remember to spend some time on the old school trails! The road beckoning, we hit the pavement once again and made our merry way to Silver Star, where the driving range in Vernon greeted us with open arms and some quizzical looks. After displacing numerous balls onto the adjacent highway, and accidentally dismantling a golf club, we made the collective decision that it was time to get back to what we were used to: riding bikes. Silver Star’s trails are awesome, there’s nothing else to be said on the subject. With transfer lines, countless berms, and some man-sized triples that Curtis and Kyle claimed, the footage should speak for itself. From there, Hopkins headed to Chatel, France. Nic Teichrob ended up back on the Sunshine Coast. The Coastal Crew piloted the Blackbox Labs van to Whistler for 5 weeks of coaching at Summer Gravity Camps. I went home to Rossland to do…whatever it is that I do. And thus, our trip was finished. Man I love watching you guys rip in your mini movies. Sad to see you go. Best of luck wherever your paths may lead you. was this shot on the 7D too? and what kinda lenses did you use? Pretty nice work guys! I love your movies! great work guys. I look forward to see whatever it is you fellas move onto next..
How the heck can I have a riding session with you guys. If you ever go to Black Rock in Oregon call me up! (ask for Matt at Santiam Bicycle's) I love big bikes and scrubs and whips! I`ve been following us guys back from 09!!! And one thing i can tell...you have one of the most fluid and stylish riding i´ve ever seen! AND CREATIVE MINDS...both on filming and building trails!! !congrat$ for that. Wicked movies. Thanks for sharing. The music is great too. Man, the interior is awesome.